We have chosen the perfect combination just for Dad. Salty treats, refreshing ale, and the bright balloon will give him instant joy. We also included a leather coin purse for him to enjoy for years to come. 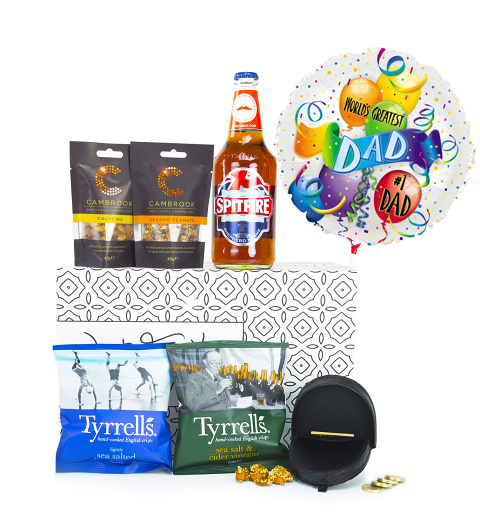 Celebrate Father's Day in style with this lovely gift.